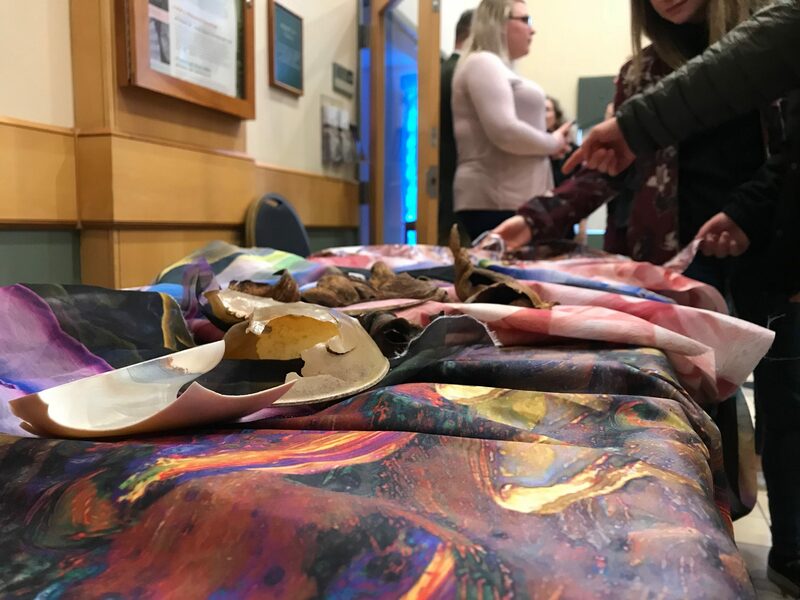 The McIninch Art Gallery’s newest exhibit features artwork from graphic design professor Harry Umen titled, “Gestural Surfaces: Lumitectural Works.” This exhibit of light is a collaboration between Umen, fashion apparel designer Laura McCarthy and lighting engineer Howard Eglowstein. “Gestural Surfaces” was inspired by Umen’s fascination with designed lighting. Specifically, Umen utilizes an interior design technique called lumitecture. 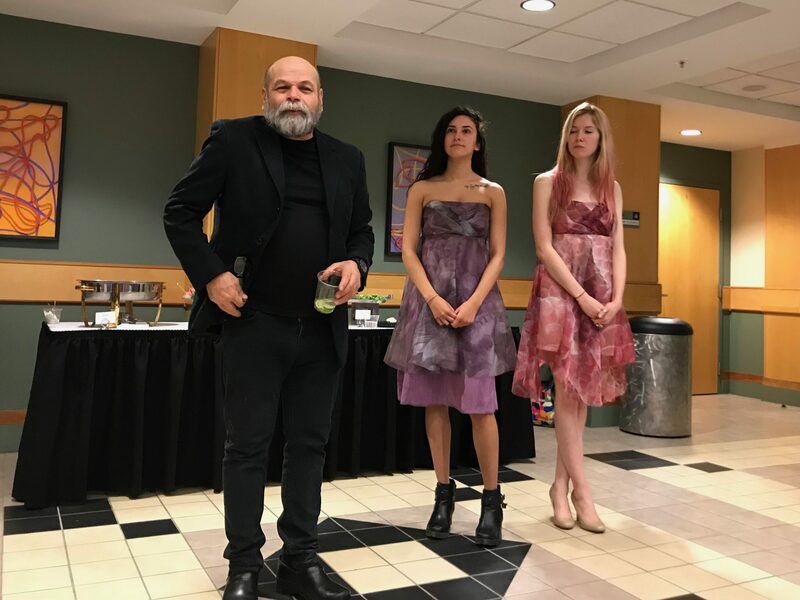 “The lumitecture work is something that I’ve been wanting to do for a long, long time; combining light with photographic dye sublimation printing,” said Umen, when asked about his inspiration for the work. Much of the idea for this particular exhibit came out of Umen’s previous apparel design work with Laura McCarthy. The two are partners in a fashion company called Sanguine, of which McCarthy is the CEO. 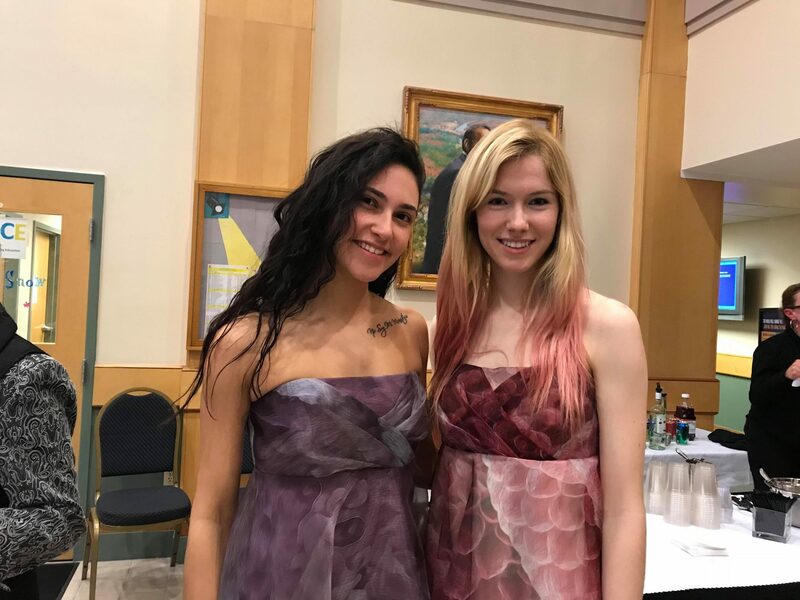 They have brought their nature-inspired apparel as far as Brazil in 2016 and even held a fashion show at Manchester’s Currier Museum of Art in October 2017 titled, “A Walk Out of the Woods.” To showcase their apparel design, two student models wearing Sanguine dresses attended the exhibit’s opening. 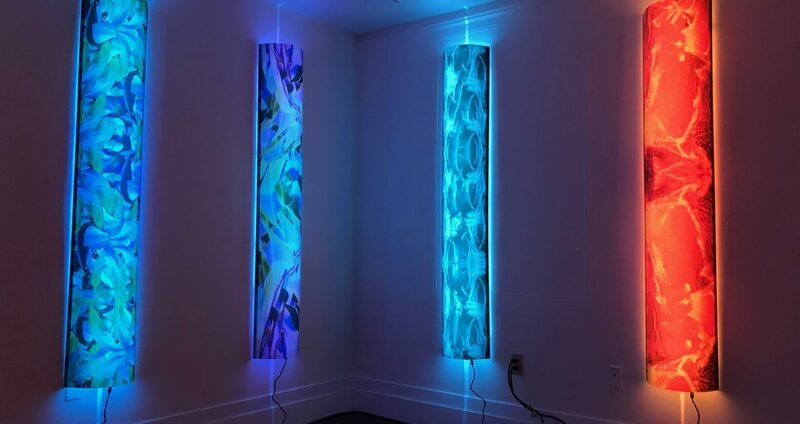 Within the exhibit, several color-changing lamps line the walls of the art gallery. The exhibit demonstrates a relationship between natural imagery and technology. Surrounding each lamp is a tube-like casing with natural patterns derived from Umen’s own photography, including patterns of various leaves, plants and natural objects. To make each lamp more durable, Umen printed the patterns using a process similar to that used for commercial signage. Each lamp glows with computer-controlled lighting. A strip of LED lights runs down the middle of the lamps and gradually changes colors to enhance the mood portrayed by the patterns on each lamp. Eglowstein purposefully designed the lighting to fluctuate between certain color palettes on each lamp. The color change occurs in specific directions as well. Though the lighting may seem overly technical, it is the way in which each element comes together that makes the exhibit unique. As explained by Eglowstein, “It’s all based on technology which is readily available; we’re just using it in a way which is not commonly used.” The interaction between the work’s different elements serves to provoke different emotions in viewers. 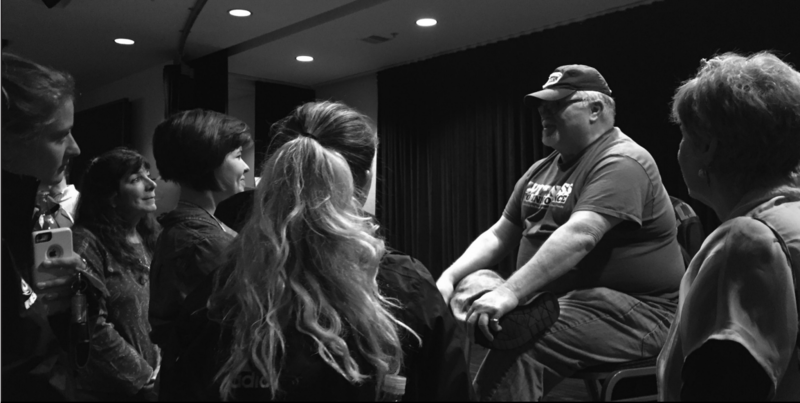 In his work, Umen notes being driven by constant creativity and previous experiences. In seeing the results of his creative process, Umen hopes audiences will gain a new understanding of the connection between nature and technology. Emma is the Layout Editor for The Penmen Press and is a senior. She is majoring in graphic design and minoring in communications and music. She enjoys playing and listening to music and plays clarinet in SNHU’s band.